Are you looking into reducing the time necessary for product data processing? We are here to help you. 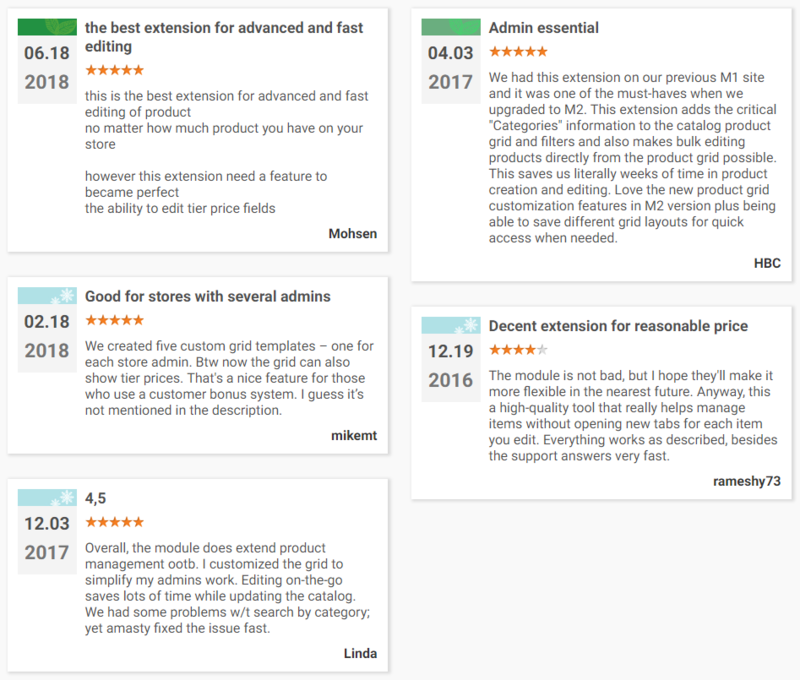 The following post describes how to achieve your goal and edit all the required attributes right on the grid with the help of the Extended Product Grid with Editor extension by Amasty. 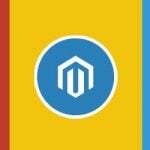 The module lets you customize grid display according to your needs, expanding the default Magento product grid functionality with additional columns. 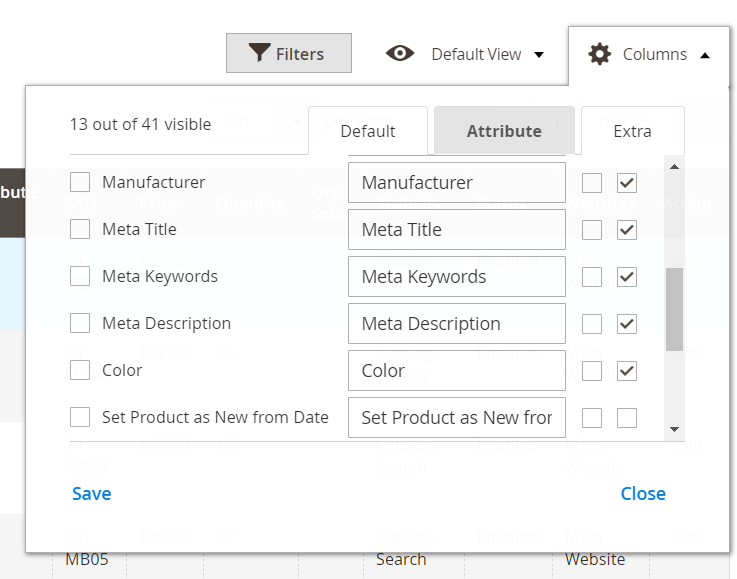 Furthermore, it allows you to filter products by categories, as well as create custom grid view templates. Change in stock availability automatically. In the following post, we shed light on how to reduce the time needed for product data processing. Of course, you should stay away from social networks, but it is also a good idea to install a Magento 2 extension that improves the default backend. The tool that captured our attention is called the Amasty Extended Product Grid Magento 2 module. Its core feature is the ability to display product attributes right on the product grid. As for supported attribute types, they are: text, text area, drop-down, multiple select, and yes/no. Besides, the enhanced product grid Magento 2 extension allows users to implement custom product grid view on the per admin basis. 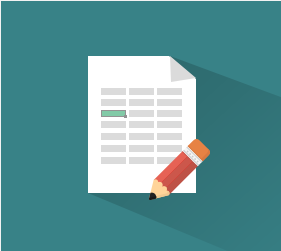 Custom template options can be easily applied individually to satisfy the requirements of each administrator. In addition to new columns, the module also allows hiding already existing ones. Another great feature of the Amasty Extended Product Grid Magento 2 module is the ability to display related products, cross-sells, and up-sells right on the grid. Furthermore, if you need a more precise control option, it allows showing product modification date. Thus, you will always know when each product was changed. Moreover, it is possible to add a column with categories so that your administrators can easily edit this information from the product grid. The appropriate filter is available too, so you can quickly identify products which are not assigned to any category. Moreover, the tool allows filtering your grid data by any parameters. The Magento 2 enhanced product grid tool allows admins to configure product data right on the grid, and you can use one of two modes to save changes. Saving edits either one by one or several simultaneously is possible. We recommend you to use the first approach since it allows to prevent errors or at least decrease their influence. Though, it can be useful to save changes in bulk for great volumes of data. 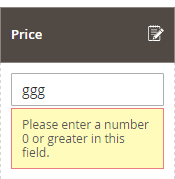 Besides, a special validation feature is used: the information will not be saved if a field is empty, or it supports only letters, but numbers are specified there. Note that all changes can be viewed on the frontend easily with the help of the appropriate links in the backend section of the Amasty Extended Product Grid Magento 2 module. It is also possible to increase or decrease the number of products, as well as add or deduct product quantity manually if this process is not automated on your ecommerce storefront. For instance, you got several offline orders, so you can easily decrease the amount of the sold items from the product grid. Besides, you can enable quantity based availability update, so the module will always update in stock availability information every time you apply changes to product quantity. To take control over all new features, click on the Columns menu above the products grid. Unlike the default window, it is divided into three tabs and contains a bunch of new options. The available tabs are Default, Attribute, and Extra. Each one is divided into four columns: Column, Title, Edit, and Filter. Under Column, you can enable/disable specific columns in the grid. The fields under Title support editing, so you can change even default column names. The Edit column lets you enable/disable editing right in the grid. 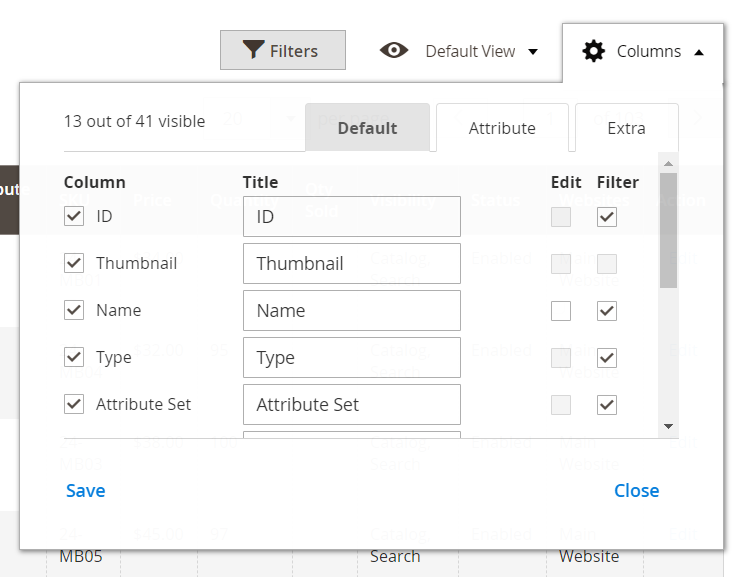 As for filters, the module allows adding new filters to the appropriate drop-down. To save a new template, perform changes, open Default View, hit Save View As, enter a template name, and click on the arrow. Hit the link in the Front End Product Link column, and you will be redirected to the frontend product page in a new window. As for the extension’s main settings, they are divided into three sections: Editing Settings, Additional Grid Columns Settings, and Quantity Based Availability. In Editing Settings, you choose Editing Mode: Multi Cell or Single Cell. The first one lets you click the Save button after data in multiple cells has been edited, while the other mode requires this action after every new change. 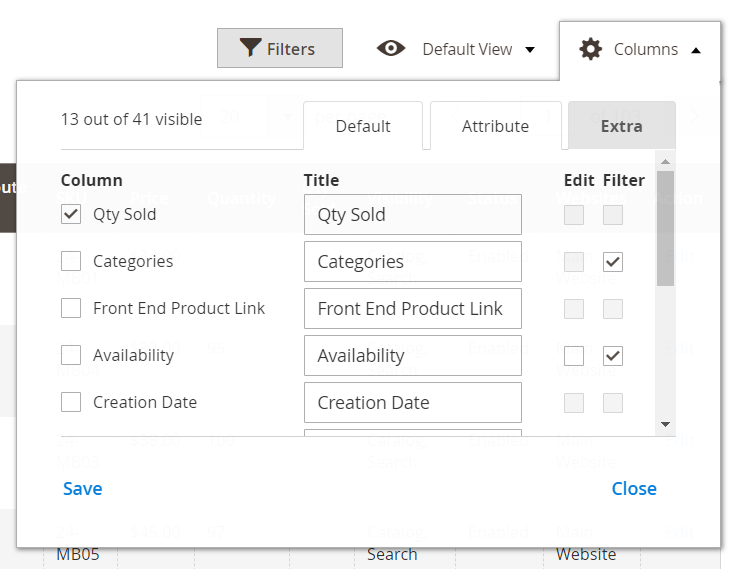 The Additional Grid Columns Settings tab is designed to fine-tune products quantity of related products, up-sells, and cross-sells, as well as specify settings for the ‘Qty Sold’ column. Quantity Based Availability lets you automatically change the availability of each product to ‘In stock’ when its quantity is positive, or ‘Out of stock’ when it is zero or negative. Set the field to ‘No’ to turn this feature off. New ‘Qty Sold’ column was added to the grid. New feature: now it is possible to modify the ‘Manage Stock’ on the products grid. 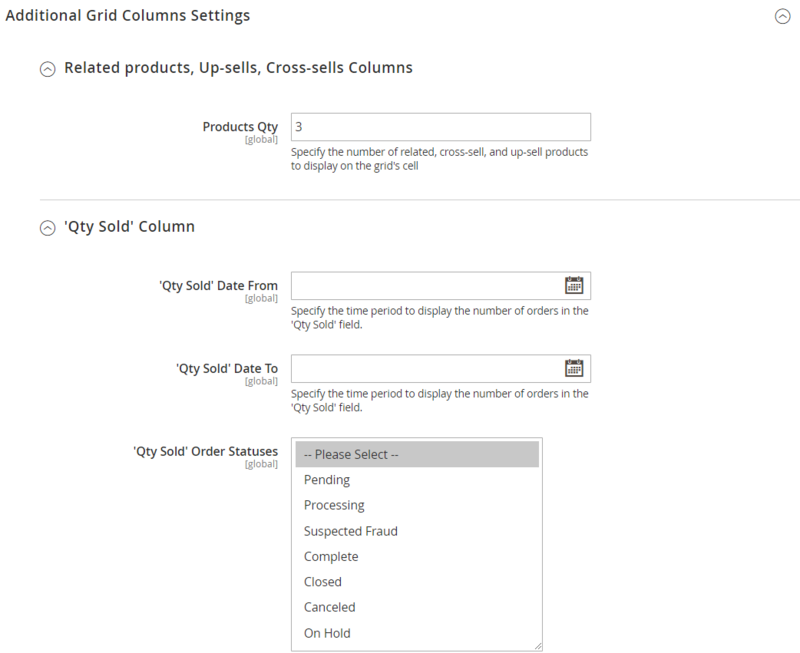 A new column for backorders settings was added to the grid. A filter option that shows all items without a category was added. Possibility to display Tier Price on the grid was implemented. Possibility to sort grid columns by updates and creation dates was added. As you can see, Amasty Extended Product Grid with Editor for Magento 2 and 1 adds many useful features that are unavailable in Magento by default. With the enhanced functionality, you will be able to edit your product data much faster, saving precious time that can be spent on the development of your business. Note that the Magento 2 module costs $249, while its Magento 1 predecessor is just $119.